So, like I said, I did not have any date last Valentine’s Day but me and my, um, yea, him, managed to have an early one which happened a day before. We then decided to watch a movie, I was not aware of the “Now Showing” movies in fact. 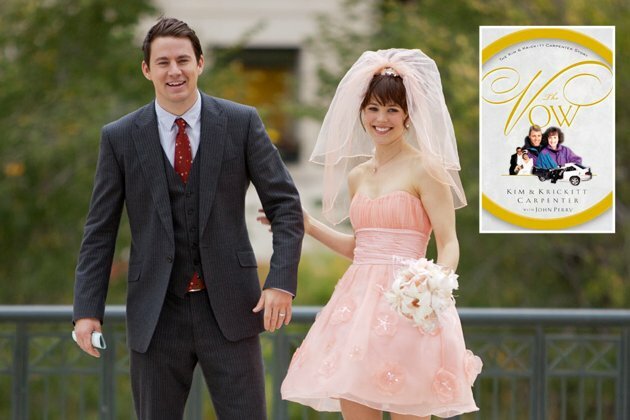 Luckily, this movie, “The Vow” happened to be included in the list, so I said we go for it. I have watched the trailer on TV once and I thought it is somehow touching and inspiring, I wanted to watch it. The movie is all about a happy newlywed couple whose lives are changed because of a car accident. Paige, the wife has suffered a severe memory loss that she has forgotten everything about her life with Leo, her husband, but happens to remember her past life with her parents and her ex-boyfriend. Leo, so much in love with Paige, did everything just to regain his wife’s memory, but nothing happened, until all he can do is give up. But in the end, Paige has learned to love Leo, and never regain her memory again. The movie is based on a true story, the real Leo and Paige have two children now. Leo was played by Channing Tatum, he is really great, one of my favorites. Paige was played by Rachel McAdams, it’s the first time I have seen her on screen, she looks a lot like Jennifer Garner though. One lesson I have learned, we should treasure even every little moments with our love ones, we may not know when it will last or worse, it’s the last time they’ll remember us. This entry was posted on February 15, 2012 at 8:49 PM and filed under Uncategorized. You can follow any responses to this entry through the RSS feed.